The Plumbing Museum is proud to host the first annual WATERtown Film Fest’s live screenings of independent films in our main gallery! 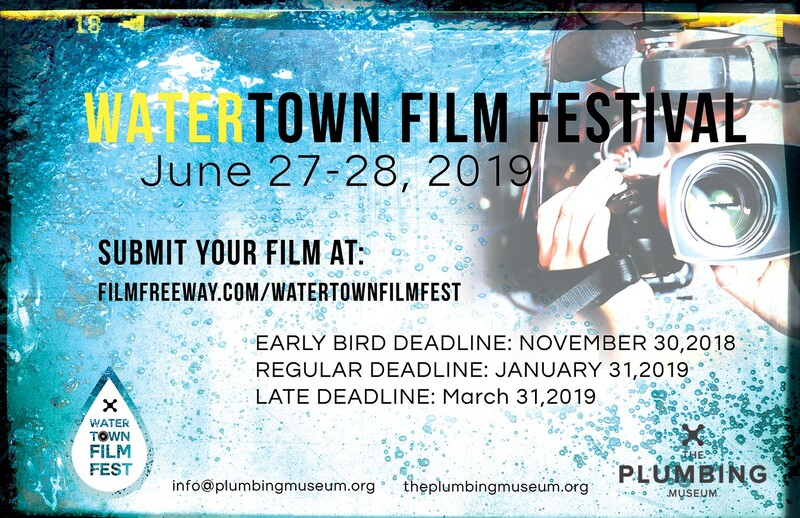 The WATERtown Film Fest is created to increase public awareness of the environmental, social, and cultural importance of water. This two-day, inaugural film festival will screen films at the Plumbing Museum on June 27-28, 2019. We accept any style of film that promotes the mission of the WATERTown Film Festival: to celebrate the importance of water in our lives. From broad comedy set in the bathroom to serious explorations of the melting of the polar ice caps, all have a home at the WATERTown Film Festival. Post-screening there will be a Q&A with the film creators, and audience members will participate in the selection process for the Audience Choice Award.